A PENSIONER has been left with a broken arm and hip after being assaulted outside Fareham Shopping Centre. The 66-year-old woman was pushed to the ground in West Street at about 1.47am on Sunday. 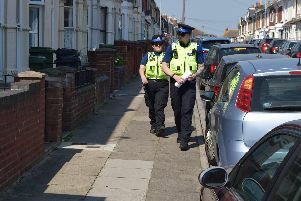 A 20-year-old man was arrested on suspicion of assault after the incident but he has been released by police under investigation. Anyone with information should call police on 101, quoting the crime reference number 44190014596.